Our understanding of gravitational dynamics is very good. With it we can send probes to distant worlds such as Pluto to an accuracy of a dozen kilometers. But sometimes our models don’t quite match reality. These astrometric anomalies are small and subtle, but they sometimes lead to a new understanding of the universe. The predicted vs actual location of Neptune. Credit: Sky and Telescope. The first astrometric anomaly was the deviation of Uranus from its predicted orbit as determined by Newton’s law of gravity. By the mid 1800s, it was clear that the orbit of Uranus didn’t quite agree with Newton, and in particular with Kepler’s second law: that planets should sweep out equal areas in equal times. For a time Uranus moved faster than predicted (sweeping out too much area), and later it moved slower than predicted (sweeping out too little). Thinking that this deviation might be due to the gravitational pull of an undiscovered planet, John Couch Adams and Urbain Le Verrier independently calculated its possible location. This led to the discovery of Neptune in 1846. In 1859, Le Verrier made a detailed analysis of Mercury’s orbit, and found that it, too, deviated from Newton’s predictions. He proposed the existence of a planet even closer to the Sun, which he called Vulcan. 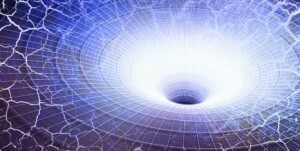 In this case, however, the anomaly was due to Newton’s theory actually being incomplete. In 1915, Albert Einstein showed that Mercury’s anomaly could be explained by his general theory of relativity. Instead of gaining another planet, we gained an entirely new understanding of the universe. While our measurements and observations of orbital motions have gotten much more precise over the years, there is still the occasional anomaly that beckons us to explore. Perhaps the most famous of these is known as the Pioneer anomaly. Launched in the early 1970s, Pioneer 10 and Pioneer 11 were the first probes to travel to the outer solar system. While the probes functioned better than we could have hoped, we began to see something odd in their motion. As expected, the Pioneer spacecraft gradually slowed down as they sped away from the Sun. Most of this was due to the Sun’s gravity, and part was due to the drag of the gases that exist in the solar system. But when all the factors were taken into account, it was found that the Pioneer probes were slowing down a bit faster than expected. This extra deceleration extremely small, but over the course of a year it meant the probes were 400 km off their predicted positions. The Pioneer anomaly led to speculation that it might be an indication of new physics. Some thought it might be solved by modified gravity models proposed as an alternative to dark matter. Others thought it might be related to dark energy. Then in 2012 a more mundane solution was found. The pioneer probes were nuclear powered through a radioisotope thermoelectric generator (RTG). 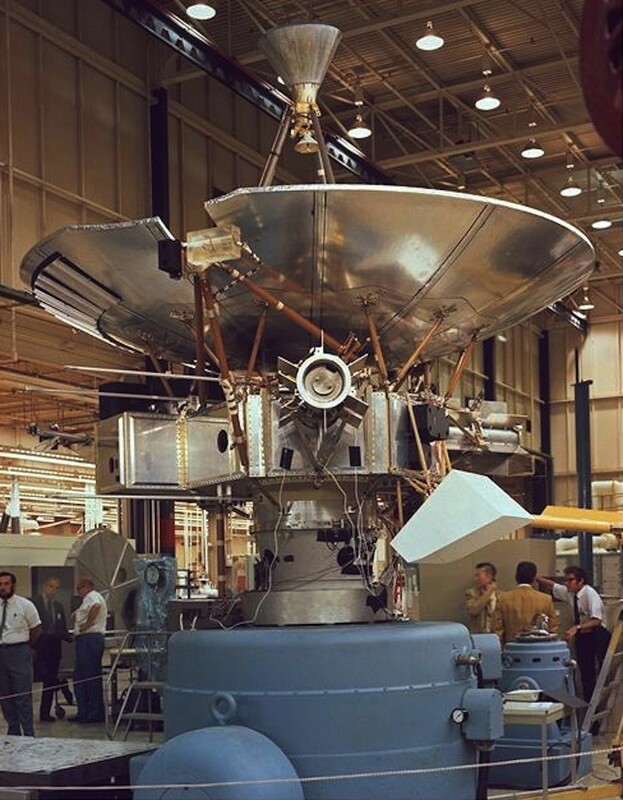 These RTGs usually give off heat uniformly, but the design of Pioneer meant that some of the radiant heat was reflecting off the probe resulting in a thermal recoil. Which just goes to show that sometimes you can miss something in your calculations even when you’re careful. A more recent strangeness of spacecraft motion is known as the flyby anomaly. The anomaly was first observed in the flyby of Galileo in 1990, when careful measurements of its motion found the spacecraft’s speed after the flyby was 4 mm/s faster than expected. On Galileo’s second flyby in 1992, no anomaly was observed. In 1998 NEAR gained 13 mm/s. Cassini had no anomaly in 1999. Rosetta had an anomaly in its 2005 flyby, but not in subsequent ones, and Messenger had no anomaly. This on-again off-again nature of the anomaly is a bit strange. There seems to be a slight correlation to the orientation of a flyby relative to the Earth’s equator and the appearance of the anomaly. This may be an indication that the anomaly is somehow related to the rotation of the Earth, though studies of relativistic frame dragging on the probes show that effect isn’t enough to account for the anomaly. Another explanation for the anomalies is an effect known as the transverse Doppler effect. This effect occurs when an object is only moving side to side (transverse) relative to you, not toward you or away from you. 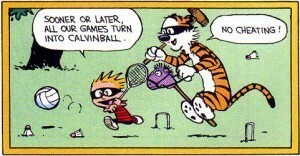 Normally the transverse Doppler effect is too small to worry about, but for a close flyby it becomes important. While the transverse Doppler effect can perhaps account for the speed anomaly, it can’t account for the time-of-flight ranging data that is also observed in some cases. Since standard physics can’t seem to account for the anomaly, wilder ideas have been proposed, such as modified gravity theories, a dark matter halo surrounding Earth, even a quantum gravity process known as the Hubble scale Casimir effect. Of course the difficulty with trying to explain the flyby anomaly is that such spacecraft flybys are rare, and are made by spacecraft with radically different designs. 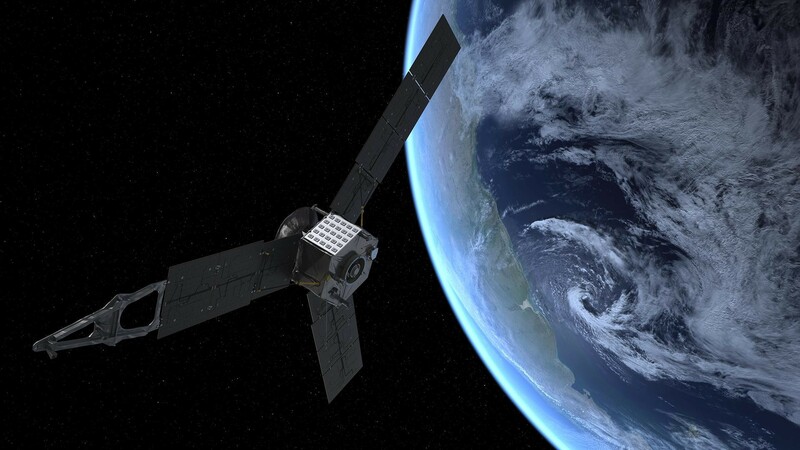 There have been proposed experiments to study the effect, such as the ESA’s Space-Time Explorer and Quantum Equivalence Principle Space Test (STE-QUEST), which would have studied how atoms fall in an eccentric orbit around Earth, but so far no such experiment has been funded. It may be some time before we understand the cause of this anomaly. Astrometric anomalies aren’t limited to spacecraft. Even our Moon doesn’t move quite the way we expect. During the Apollo program retroreflecting mirrors were placed on the Moon. With these we’ve been able to use laser ranging to make extremely precise measurements of the lunar orbit. We now have over 40 years of data, making the Moon’s motion the most precisely known orbit in the solar system. We’ve observed, for example, that the Moon’s average distance increases by about 3.8 centimeters per year as tidal interactions between the Earth and Moon transfer angular momentum to the Moon. 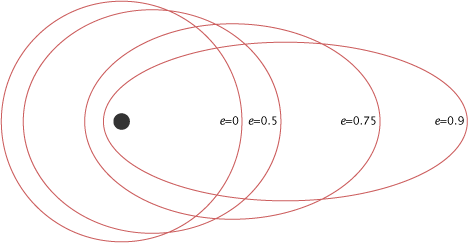 Tidal forces also affect the shape of the lunar orbit (specifically its eccentricity) over time as well. But even after tidal forces are taken into account, there is an extra bit that remains unaccounted for. It seems the difference between the Moon’s apogee and perigee is changing by an extra 3.5 millimeters per year, and we’re not entirely sure why that is. Interestingly, one proposed explanation was that there could be an undiscovered planet beyond the orbit of Pluto. Such a planet would pull ever so slightly on the Moon, causing its eccentricity to change over time. This doesn’t seem very likely, however, since such a planet would need to be of Earth mass at 30 AU, and of Jupiter mass at 200 AU. 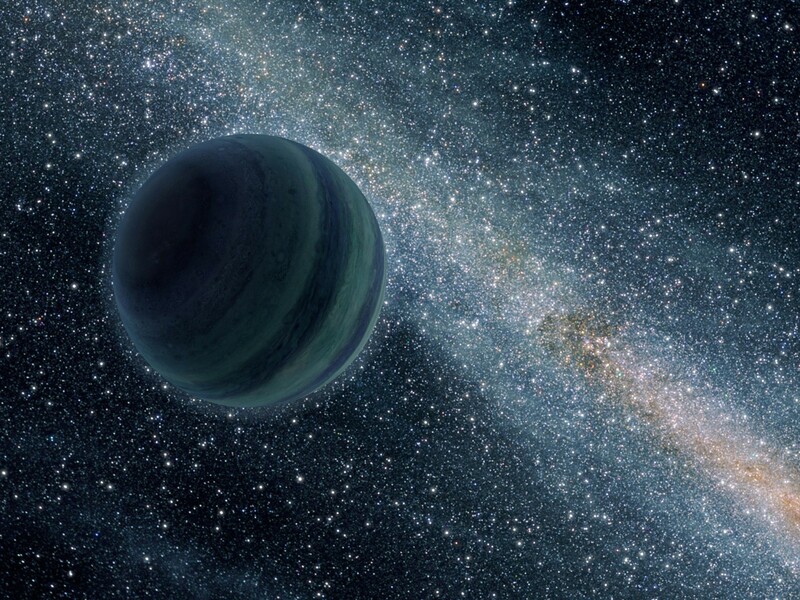 Sky surveys by the WISE spacecraft have looked for such planets, and have ruled out any new planets larger than Saturn to a distance of 28,000 AU. These small anomalies don’t limit our ability to explore the solar system. 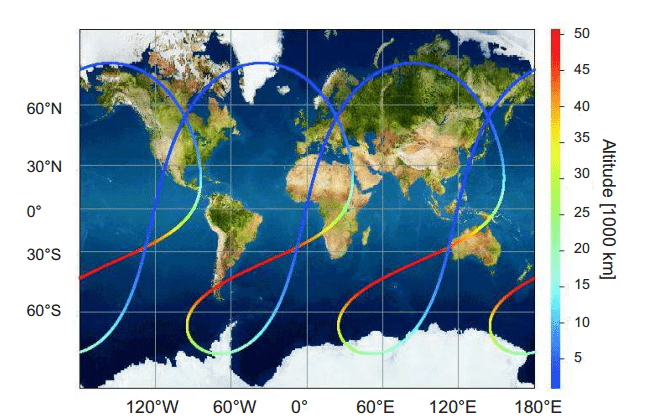 The deviations from predicted motions can easily be corrected for when navigating spacecraft. But they are worth exploring. They are likely due to some effect we overlooked, such as the Pioneer anomaly, but there’s always a chance it could be due to something beyond Einstein’s theory of gravity. In science, it’s the small, nagging puzzles that are sometimes the key to open the largest doors. This post first appeared on Starts With A Bang! Could passage through Earth’s magnetic field in various orientations account for the flyby anomaly? Presumably spacecraft are pretty conductive on the outside, so if there were an induced current that bled off excess charge at both ends of a boom (say) via some pointy artifact, you’d expect a small amount of force to be associated with it. I assume there are instruments that can detect a net buildup of charge, but are there any that would notice small currents traveling along the exterior? Not meant as a comment. Just pointing you to an interresting writing by George Musser. I dont know any other easy way to share with you. Dont think you want to anyway with a non-academical-dude.